Ron Reed has crafted a powerful play focused on the relationship between two of the 20th century’s most influential writers. 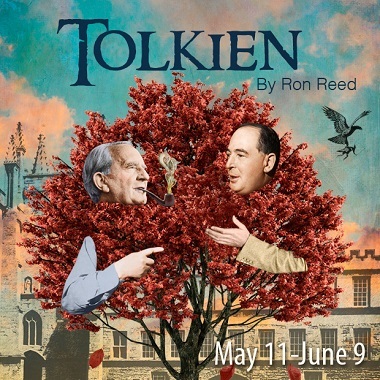 Tolkien is the play’s name, but it could have been Tolkien-Lewis (apart from awkwardness) because so much of it is based on the friendship between J.R.R. (Ronald) Tolkien and C.S. (Jack) Lewis, which flowered in the 1930s, produced fruit over several decades and finally waned during and after the Second World War. I don’t know whether Tolkien should be considered a celebration or a tragedy (ignoring any formal dramatic implications of that term, of which I am ignorant). It was quite thrilling to observe how Lewis came to understand Tolkien’s immersion in Northernness (Norse sagas, Beowulf, Old English . . .), and to recall his own youthful fascination with similar realms. He encouraged Tolkien to press on with his nascent Middle-earth – and drew inspiration from Tolkien’s created world as he began his Narnia series. They shared so much else – their scholarly pursuits, love of learning, sharing that learning with friends, an understanding that God created us to create . . . The tragic story is that of two friends gradually becoming estranged. Neither one, apparently, was as articulate or adept at interpersonal relations as he was on the written page. Jack was the more pliable of the two, and the most willing to draw others into their circle. That seems to have led to some hurt on Tolkien’s part, as he clearly preferred a closely-knit, like-minded atmosphere. In a hole in the ground there lived a sextet of literary boffins. Not a nasty, blood-drenched World War I foxhole, nor yet a World War II bomb crater. It was an inter-war boffin hole in the hallowed ground of Oxford. And that meant comfort . . .
. . . tweedy, oak-panelled, port-swilling comfort, as enjoyed by high-table university dons in the relatively peaceful hiatus of the 1930s. Playwright/director Ron Reed lovingly recreated this privileged milieu in his cerebral Tolkien, which premiered at Pacific Theatre this week. . .
Reed also wound up starring in the title role of his own production, since the intended star, veteran actor John Innes, suddenly took ill on the eve of opening night, with uncertain prospects for recovery. As a last minute stand-in, Reed had no choice but to read from a hand-held script . . . He did so with verve and authority – after all, over the course of a six-year gestation period, he himself wrote all the lines. Even so, it’s a lot to recite from memory in such a talky play that’s so focused on one central figure. If he continues in the role, as expected, he’ll doubtless get the speeches down by heart in short order. Pacific Theatre confirmed the cast change the day after Kaye’s review. It must have been a tremendous challenge to write a play about two such famous writers, and their immensely influential bodies of work (best known, of course, are Tolkien’s The Hobbit / The Lord of the Rings and Lewis’s The Chronicles of Narnia). Naturally, questions arise regarding omissions and questions of balance. Some might ask, for example, where was Owen Barfield – a key Inkling? The simple answer, I suppose, is that there is such a wealth of material to draw on that 100 playwrights could have come up with 100 different treatments. But Ron Reed – founder and artistic director of Pacific Theatre – is the one who devoted years of study and hard work to the project. And it has paid off. As a non-expert – but like so many millions of others a fan of both Tolkien and Lewis – I found the experience moving and insightful. And true to its subjects. 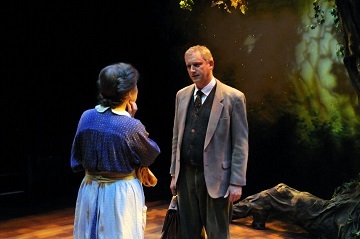 Tolkien runs until June 9. We are very excited for our next Mexican Pop-up Dinner: Taste of the Sea and Spanish Stories on Saturday, May 19 at YVR Prep Commissary Kitchen to celebrate the pacific coastal flavours of Mexico. Chef Angeles Canedo is going to create a traditional feast with her favourite family recipes of pico de gallo, spot prawn empanadas and ceviche dishes highlighting local sustainable seafood including ling cod and side stripe shrimp. 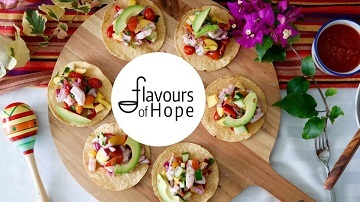 This is a fundraising dinner to raise money for our summer pilot food market on Granville Island to sell multi-ethnic dishes from refugee women. An Act of Re-membering is an interactive, participatory, story-based workshop that shares Canada’s nations-to-nations history using a variety of voices, including your own. Join us on a storytelling journey while walking on a giant map! Let’s build community through learning more about each other and the history of race relations and reconciliation in Canada. This workshop is hosted by First Christian Reformed Church and the Office of Race Relations May 26. In her ‘spare time,’ Ling works part-time as community connections coordinator with First CRC and is a board member with Citizens for Public Justice. Wim Wenders’ new documentary, Pope Francis: A Man of His Word, is intended to be a personal journey with Pope Francis, rather than a biographical documentary about him. The pope’s ideas and his message are central to this documentary, which sets out to present his work of reform and his answers to today’s global questions. From his deep concern for the poor and wealth inequality, to his involvement in environmental issues and social justice, Pope Francis engages the audience face-to-face and calls for peace. 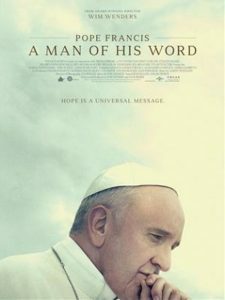 Pope Francis: A Man of His Word can be viewed May 18 – 24 at the Cineplex Odeon International Village Cinemas. Are you yearning for time away with God but unable to go on an extended pilgrimage? Why not choose a pilgrimage close to home? With a backdrop of picturesque Kingfisher Farm, come and explore walking the labyrinth as a Christian spiritual practice. Labyrinth Prayer is a contemplative spiritual discipline based on the ancient practice of pilgrimage. Join us, as pilgrims, for a facilitated day retreat offering worship, instruction, periods of silent prayer on the Labyrinth as well as on nature trails, reflection through the creative arts and small group sharing. Go here for more background on the three facilitators. Bez Arts Hub has been bringing some great music, dancing and theatre to Langley for the past year or two. If you haven’t been, this Friday (May 18) would be a good time to start. Bez Arts isn’t a large space and I am sure The Sojourners will fill it with joyful gospel music. 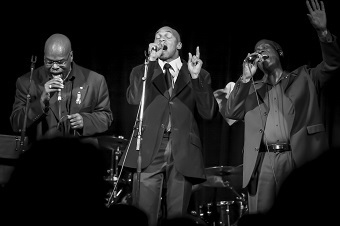 The formative years that Marcus Mosely, Will Sanders and Khari McClelland spent singing in the churches of their hometowns – Ralls, Texas; Alexandria, Louisiana; and Detroit, Michigan respectively – give The Sojourners’ sound an authentic edge that only comes with experience. This is real gospel – blessed with a soul that can’t be faked. Hot on the tail of their session backing up Jim Byrnes on his House of Refuge CD, the Sojourners went into the studio with roots music whiz Steve Dawson in 2007 to record Hold On, their first solo album. Two years later, they took all they had learned in between and returned to record a CD simply entitled The Sojourners.